There’s something very rewarding about helping homeowners connect their vision of their home’s exterior with their expectation of its performance. Your home should not only look good, it should also successfully accomplish the basic function of protecting you and your family from the elements. 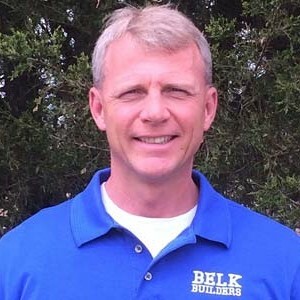 Belk Builders is the premier choice for all things associated with the exterior of newly constructed homes and finishing touches for newer homes as well as exterior updates and improvements for mid-aged, older and even historic homes all throughout Charlotte and its surrounding areas. The proper and expected performance of your home’s exterior means the windows and doors should keep things out, like cold air in the winter and bugs and dust in the summer, when they are closed but still allow fresh air and filtered sunshine in during the spring and fall, when they are open; your siding should enclose and protect the interior and its inhabitants from exposure while being durable and low maintenance; and your roof should cover the entire structure, while helping to deflect heat and protecting you from the effects of weather elements such as rain, wind, sun, and snow. Sometimes a home has more than one roof…be it on a porch, garage, car port or even a second story deck can operate as the roof to a hard surface area below. 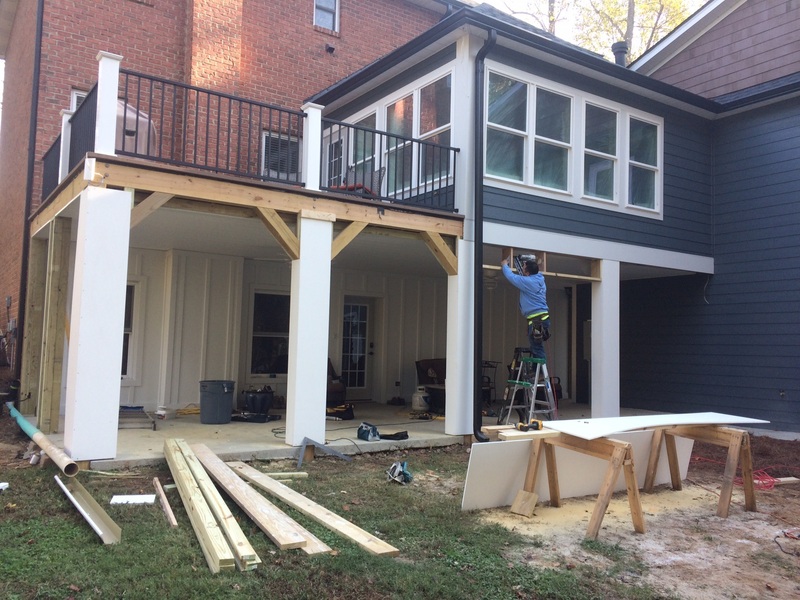 One of our most recent projects, located on the North Side of Lake Norman was for homeowners with a request for replacement siding, and while we were performing our initial home inspection and consultation, they expressed their disappointment with their second story deck. Although the deck was part of a gorgeous second level sunroom and deck addition to their lovely brick home, unfortunately it was not doing a very good job in its expected performance as roof to the patio below and led to rot and damage (not to mention they couldn’t enjoy the lovely space if there was any rain in the forecast). 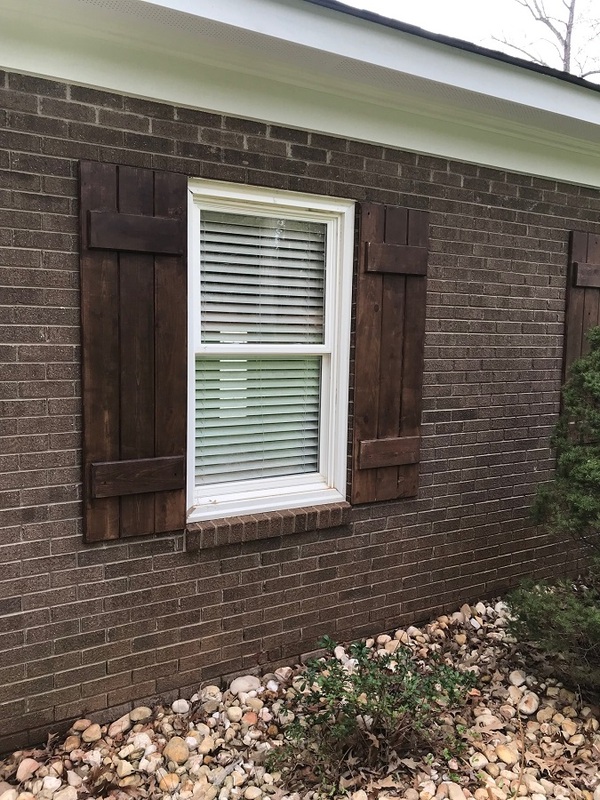 Little did they know we could help with this issue as well because here is where our versatility and expertise in all things for your home’s exterior makes us more valuable to homeowners. Our other main focus was the improvement of the protection of under ceiling area of the upper story deck. The spaces between the decking boards are the culprits that cause the constant run through of the rain, but there are several ways to make this space watertight whether you are building a brand new raised deck or fixing this issue on an existing one like these homeowners. First we needed to repair the structural damage, so we tore out the entirety of the underside, replaced those boards and then finished the area with vinyl. 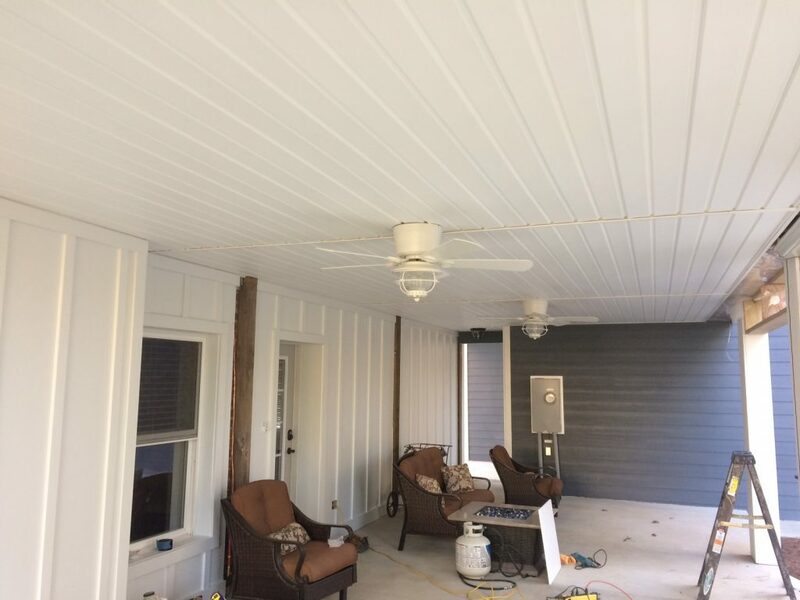 Since this was an existing deck, we used a retro-fit, vinyl dry deck under ceiling system consisting of vinyl ceiling panels (which channel the water out and away). It operates by integrating a slope to divert precipitation to a gutter for draining, creating a slightly sloped ceiling for your space underneath. The end result makes the space watertight, creating an awesome dry deck space that the homeowners can use any time, no matter what the weather. As you can see from these before and after pictures, that is exactly what we did for these happy Lake Norman homeowners. Our versatility and expertise place us a cut above the rest. When you choose Belk Builders, you can be confident that you are hiring a team with an attention to detail in their craftsmanship. 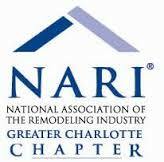 This is what makes us the right choice for exterior renovation projects for homes of all ages. Fully licensed and insured, we employ our own carefully selected, expertly trained team specialized in each specific field of renovation. We are here to help homeowners in our service area bring together their vision of their home’s exterior and their expectation of its performance and provide the reality of both. 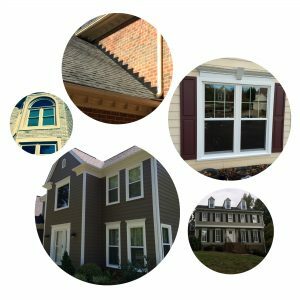 Give us a call for your home exterior needs and allow us to show you how the range of projects Belk Builders is capable of goes well beyond just windows, siding and roofing…because we can do so much more! Contact us at (704) 400-4710 or visit our website today to learn more.